I imagine you are blogging…Facebooking…etc. like last year. Site: in world affairs, politics, economics, etc. to make sure you get somewhere! Locks Aichi: Q from Site: say yes, no, or maybe…for your circumstances was anything in the presentation of use to you? Locks Aichi: So any questions for Site while we have him here? might ask him how he got started? Jadeernest: how do you put slides on 2nd life? don’t come back for more! 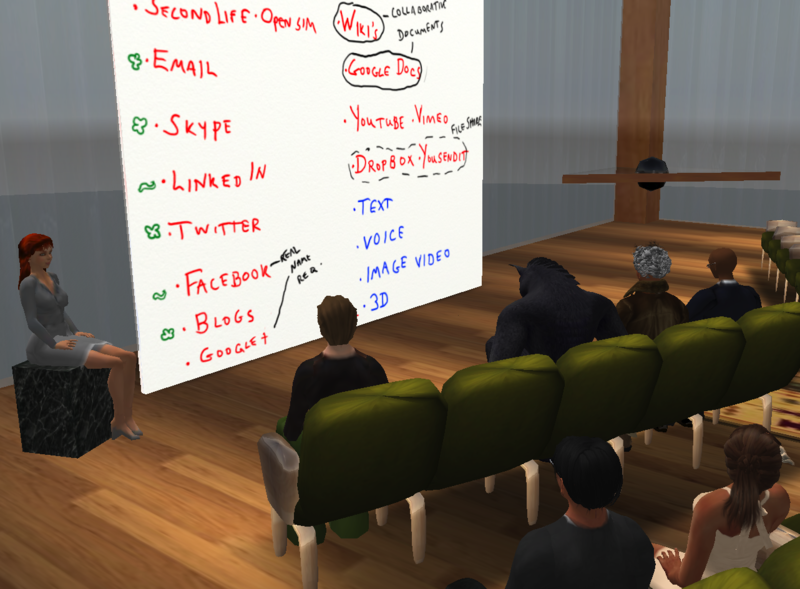 another option is to just make slides on PowerPoint, put it online [e.g., www.slideshare.net] look at it in SL or online. Jadeernest: Thank you Mr. Madonna! Thank you for joining the class today, Site. Your presentation was not only interesting and timely, it also gave us some very practical advice on how to proceed with the project. Always great to have your input.